December 12, 2018, 9:47 a.m. This week Carlos Ghosn, one of the world’s most powerful and influential automotive executives, remains in jail on suspicion of financial misconduct. It emerged in early November that Ghosn had left his role as Nissan Chairman following allegations that he had under-reported his pay packet. Since 2010, Japanese firms have been required to disclose salaries of executives who earn more than 100m yen (£697,000). What impact has this had on Nissan in its key European markets? Well, YouGov BrandIndex data suggests that this particular crisis may be more of a corporate issue, and not one that directly affects sales - particularly in the UK. Mr Ghosn also had a key role at Renault, and we’re able to analyse how the two car manufacturers are faring in the UK and France. People have certainly noticed negative headlines. 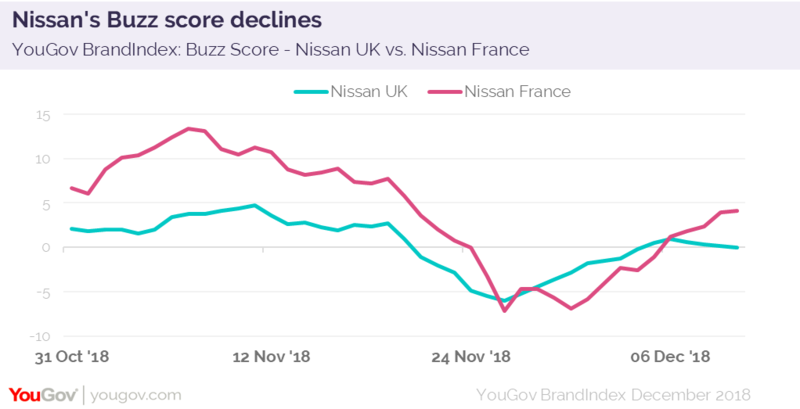 In France Nissan’s Buzz score (whether you have heard something positive or negative about a brand) dropped by 14 points at its lowest point (+7 to -7) though this has now recovered to +4. While in the UK we saw a decline of 9. Both brand’s impression scores (whether someone has a positive or negative impression of a brand) have declined since the news emerged in November. However this is more significant in France where Nissan’s score has decreased from +15 to +11, while Renault’s has moved from +25 to 21. Comparatively, Nissan’s score in the UK only decreased by one point, suggesting it’s not something which has really impacted consumers. This may be because, in the UK at least, the story isn’t being talked about despite the headlines. Nissan’s Word of Mouth Exposure score (whether someone has talked about the brand with friends and family in the last two weeks) has remained around 4%. In France, its score moved from 4% to 7% and Renault’s remained stable. Underlying this point is the respective brands’ Purchase Consideration scores (whether someone would consider purchasing from the brands in future). 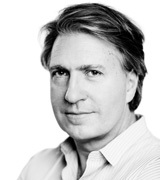 In both France and the UK, both companies’ scores have remained stable. This suggests that although this scandal may hit share prices and bring headaches for senior management, the average car buyer has not been put off by the story.